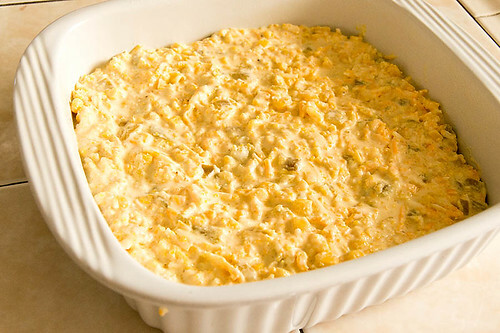 Corn and green chilies baked into a golden puffy delight. This is going to the Women’s Fellowship today, so no plated shot. Don’t know why I haven’t been real big on making casseroles, it might be that I ate my fill, and then some, while growing up. This is cheesy, (not to be confused with cheesey) with just the right amount of spice from the green chilis. If you aren't a big casserole fan, I think you just might like this one. 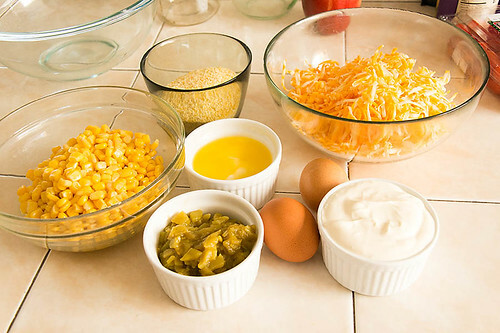 You’ll need eggs, sour cream, corn meal, butter, salt, whole kernel corn, cheese and green chilies. In a bowl, whisk the eggs and add the sour cream. and the green chilis. Gently folded it all together. 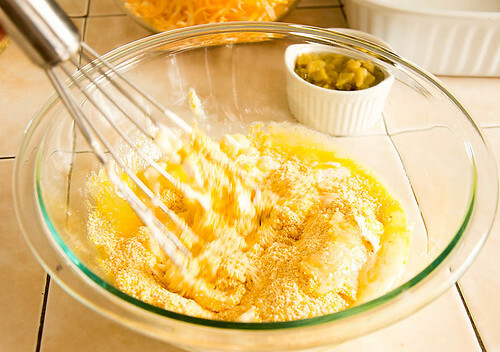 I photographed the batter being poured into the casserole dish, but honestly, it looked pretty disgusting. Some things are just not photogenic, and I think casserole mixtures are one of them. Here's my handy helpful hot casserole hint. After your casserole is baked. 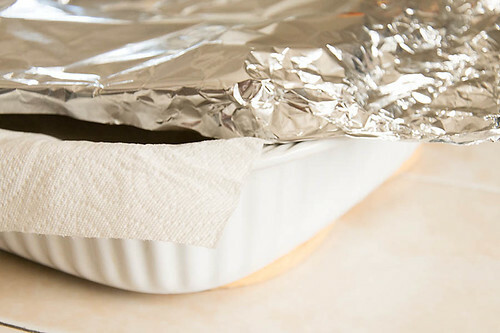 In order to prevent condensation from forming when you cover your hot casserole with foil, place a layer of paper towels down first. The paper towels will act as a barrier and absorb any moisture that might otherwise collect on top of your casserole. In a bowl, mix eggs, sour cream, cornmeal butter and salt. Stir in corn, cheese and chilies. 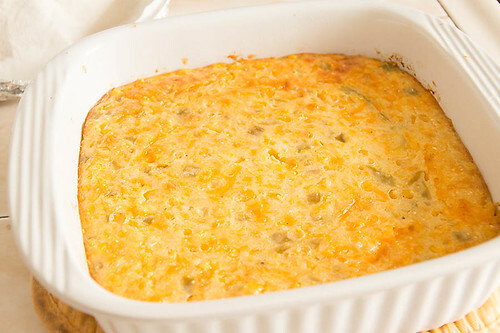 Turn into a greased 2-quart casserole.